Cosmology is the scientific study of the origin and structure of the universe. In the Christian worldview, God (a self-existent, eternal and transcendent being) caused the universe to come into existence. In the atheist worldview, there was no cause for the universe coming into existence; rather, the universe came into existence from nothing, by nothing and, ultimately, for nothing. The Kalam Cosmological Argument for the existence of God states that since anything that comes into existence must have a cause for it’s coming into existence and since logic and science teach the universe came into existence (i.e., it had a beginning), the universe had to have had a cause for its coming into existence. Accordingly, Christian apologists maintain the Bible’s explanation that the universe was caused to come into existence by a self-existent, eternal, transcendent Creator (like the God described in the Bible) is a much more satisfying explanation than the atheist’s explanation that the universe came into existence without a cause — from nothing, by nothing and, ultimately, for nothing. The says the universe was formed at God’s command from nothing that preceded it. An atheist believes the “universe came from nothing, by nothing”. In response, William Lane Craig queried: How does “no charge” separate into anything? How does nothing separate into opposites? How does nothing reorganize into anything? As set forth below, Christian apologists maintain that Kalam’s Cosmological Argument further undermines the proposition that the universe could have come into existence out of nothing. The Kalam Cosmological Argument is a deductive argument which Christian apologists maintain demonstrates a necessity of a cause for the universe coming into existence. The argument does not purport to prove the existence of God, but it does purport to establish that any logical explanation for the existence of the universe must include a cause for the universe coming into existence. To this extent, the argument supports the Bible’s claim that God (a self-existent, eternal, transcendent being) brought the universe into existence and is inconsistent with the atheist proposition that the universe came into existence without a cause. Deductively, if both of the above premises are true, the conclusion must also be true. Therefore, anyone attempting to defeat the argument must prove at least one of the premises is false. However, as set forth below, Christian apologists contend that since life experience, logic and scientific findings demonstrate both premises to be true beyond reasonable doubt, the conclusion that the universe must have had a cause for its coming into existence must also be true. The first premise of the argument is that anything which begins to exist must have a cause for its coming into existence. In other words, nothing that has a beginning to its existence does so without a cause. That which has a beginning must have something preceding it or it could not begin. The truth of this premise is experienced in everyday life because no one has ever seen anything come into existence out of true nothing (i.e., no matter, no energy, no space and no time). Although some skeptics point to observations in quantum mechanics in which things appear to pop into existence “out of nothing”, these subatomic events do not truly arise out of true nothing (e.g., no space-time). They arise in empty space-time which is not nothing. Since no one has ever demonstrated anything coming into existence out of “true nothing”, Christian apologists maintain that no rational rebuttal exists to the first premise of Kalam’s Cosmological Argument – that anything which begins to exist must have a cause for its doing so. The second premise of the cosmological argument is that the universe began to exist. According to this premise, the universe came into existence a finite time ago which means the universe is not eternal or in a steady state. Reason No. 1 — An Actual Infinity with Respect to a Series of Past Causal Events Would Result in Absurdities: Something is absurd when it is utterly or obviously illogical. In this case, when an actual infinity of a series of past causal events is contemplated, a number of absurdities come to light. For example, while we experience one year being added to the next and then to the next, trying to add to (or subtract from) an actual infinity is absurd. This is because if you add to an actual infinity you still have infinity and if you subtract from an actual infinity you still have an infinity. In a series of past causal events that proceed forward with the passage of time, one year is added to the next year, followed by the next year and so on. This is what we experience as each year passes in our lives. Since we are, in fact, able to add one year to the next year and then the next year, no actual infinity of years can truly exist, because you can not add anything (even a year) to an actual infinity. Because it is illogical to attempt to add to or subtract from an actual infinity, logic teaches that when events or time are added one after the other (like years being added to the passage of time), then the series is not truly infinite (without a beginning or end). Since we do add years to the passage of time, that tells us that the universe is not actually infinite and, therefore, must have had a beginning at some point in the past. Reason No. 2 — An Actual Infinity Can Never Come to an End: An actual infinity can never come to an end because, by definition, an actual infinity is endless. However, in the universe all past series of events do come to an end — they come to the end in the present. Since past events come to an end in the present and because an actual infinity cannot, by definition, come to an end, an infinite number of past events in the universe cannot logically exist. Therefore, logic demands the conclusion that the universe cannot be infinite and must have had a beginning. In sum, if the universe did not have a beginning, then the series of all past events in the universe would have to be infinite. However, logic teaches this cannot be the case which means the universe must have had a beginning. Much of the scientific evidence regarding the universe coming into existence (which means it had a beginning) derives from Big Bang cosmology which describes the universe as suddenly and rapidly expanding from an initial singularity. Generally, YECs believe the Bible requires a view that God created the world in six consecutive 24 hour days about 6,000 – 12,000 years ago. OECs believe the biblical creation account (originally written in ancient Hebrew) permits a creation date that is consistent with the universe coming into existence about 13-14 billion years ago and the Earth forming about 4-5 billion years ago, as maintained by secular scientists. Regardless of one’s particular view on the correct interpretation of Genesis, it is worth noting that if Big Bang cosmology is true (and even if it is only assumed to be true for the sake of argument), it substantiates an important element of the Kalam Cosmological Argument, namely, that the universe had a beginning; and, a beginning to the universe is markedly consistent with the creation account recorded in Genesis. Big Bang cosmology not only states the universe had a beginning, it also points to a transcendent cause of the universe which poses significant challenges to the validity of any religion which teaches: 1) God and the universe are one, 2) describes God as being confined to the universe or 3) describes God as creating from within the universe or within time. Contrarily, a transcendent cause of the universe is remarkably consistent with the self-existent and transcendent God described in the Bible. In the 1920’s, Edwin Hubble (the man the Hubble Space Telescope was named after) provided telescopic evidence that the universe is expanding and that it is expanding the same in all directions. He also demonstrated that the further away galaxies were from Earth, the faster they were speeding away. From these observations, it was deduced that the universe (which includes all space, time, matter and energy) has been, and still is, expanding from an initial singularity (a beginning). The expansion of the universe from an initial singularity is best be visualized as an inflating balloon where the universe exists on the three dimensional surface of the balloon. In such a model, every observer in a galaxy located on the surface of the “balloon” will observe others moving away from them in all directions, as Hubble observed the universe was doing. In 1948, scientists predicted that if there was an sudden expansion of space and energy from an initial singularity, then when astronomers look back in time to the initial expansion event (as they are able to do with telescopes), they would find trace evidence of the expansion in the form of microwave background radiation. It was reasoned that if the universe began to expand from an initial singularity, then shortly after the initial expansion, all the radiation in the universe would have been uniformly spread out throughout the universe. 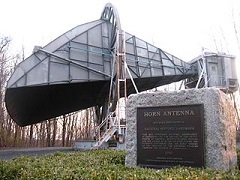 In 1965, with the use of a radio telescope (a telescope which “sees” radio waves), two physicists, Arno Penzias and Robert Wilson, discovered the microwave background radiation. Indeed, the microwave background radiation is what is heard as static noise on televisions and radios equipped with antennae. 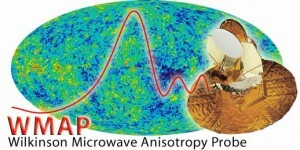 Thirty six years later, beginning in 2001 and continuing for seven years, scientists were able to map the microwave background radiation with the Wilkinson Microwave Anisotropy Probe (WMAP). The map shows that the microwave background radiation is basically spread out in uniform fashion with just the beginning signs of temperature variations. At the present time, the temperature in the universe is clearly not in a state of “thermal equilibrium”; temperatures still greatly vary. For example, the average surface temperature of the earth is 59° (F), the average temperature on the surface of the sun is 11,000° (F) and the average temperatures of the hottest stars in the universe range from 53,000° – 179,000° (F). According to the Second Law of Thermodynamics, the fact that the present temperature in the universe is so unequal is evidence that the universe must have had a beginning in finite time. In the early 1900s, Albert Einstein (a theoretical physicist) proposed the theory of general relativity, which, as explained by astrophysicist Hugh Ross, has now been so exhaustively tested that it is considered one of the best proven principles in all of physics. The theory of general relativity establishes beyond any reasonable doubt that the universe has been expanding from an initial event that occurred in the finite past. It further establishes that whatever caused the universe to come into existence had to transcend the universe, i.e., it had to exist independently of the universe. At the time Einstein developed the theory of General Relativity many scientists were so convinced that the universe was eternal and, therefore, did not need a cause for its coming into existence, that Einstein was persuaded to add an element to his equation called the “cosmological constant”. This element had the effect of cancelling out expansion of the universe from the equations of General Relativity, thereby permitting cosmological theories based on the premise that the universe was eternal to remain plausible. 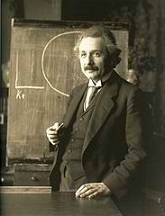 It was subsequently determined that the cosmological constant (denoted by the Greek capital letter Λ) as used by Einstein in his general relativity equations, did not exist. Since then, scientists have determined that a cosmological constant of a different sort exists, but it does not cancel out the expansion of the universe and, therefore, does not eliminate the need for a transcendent cause of the universe. In 1970, Stephen Hawking (a theoretical physicist and cosmologist) and Roger Penrose (a mathematical physicist) developed a mathematical theorem which demonstrates that if the universe contains any amount of mass (even one atom) and the dynamics of the universe are governed by Einstein’s theory of general relativity (one of the best proven theories in all of physics), then time itself must be finite and must have come into existence at the same time the universe came into existence. In other words, not only did all energy, matter and space come into existence at a finite point in the past, but “time” itself came into existence. In 2003, Arvin Borde, Alexander Vilenkin and Alan Guth published a theorem that proves that any universe which, on average, has been expanding throughout its history cannot be infinite in the past, but must have a past space-time boundary — a beginning. Moreover, this proof remains true no matter what physical description is ascribed to the early universe. In sum, based on the logical impossibility of there being an actual infinite number of past events as well as scientific evidence which demonstrate the universe came into existence a finite period of time ago, Christian apologists maintain the second premise of Kalam’s Cosmological Argument (that the universe began to exist) has been established beyond any reasonable doubt. As referenced above, the Kalam Cosmological Argument is a deductive argument consisting of two premises. If the premises are true, logic demands that the conclusion must also be true. In this case, because everything that comes into existence must have a cause to bring it into existence (see, Premise No. 1 above) and because logic and findings of science establish beyond any reasonable doubt that the universe did, in fact, come into existence a finite period of time ago (see, Premise No. 2 above), then the conclusion that the universe had a cause for its coming into existence must also be true. The Bible states the cause of the universe coming into existence was God — a self-existent, eternal, transcendent being (more >>). Since a God with these attributes is consistent with what logic and science teach to be true about any potential cause of the universe (more>>), Christian apologists steadfastly maintain that only a prejudice toward atheism would cause someone to refuse to acknowledge that it is at least reasonable to believe in a transcendent creator like the God described in the Bible. It is further maintained that unless substantial proof is presented that an exception to the universal and well-established principle of cause and effect actually exists, the existence of an intelligent, transcendent cause of the universe (like the God described in the Bible) is the most rational explanation for the existence of the universe as well as all the exquisitely fine-tuned design features scientists have discovered exist throughout the universe (more>>). Because everything that comes into existence must have a cause for its coming into existence and because laws of logic and findings of science establish beyond reasonable doubt that the universe must have come into existence a finite period of time ago, then the most reasonable conclusion is that the universe had a cause for its coming into existence. Consequently, as set forth above, Christian apologists maintain the Bible’s explanation that the universe was caused to come into existence by a self-existent, eternal, transcendent creator is a much more intellectually satisfying explanation than the atheist’s explanation that the universe came into existence without a cause — from nothing, by nothing and, ultimately, for nothing.